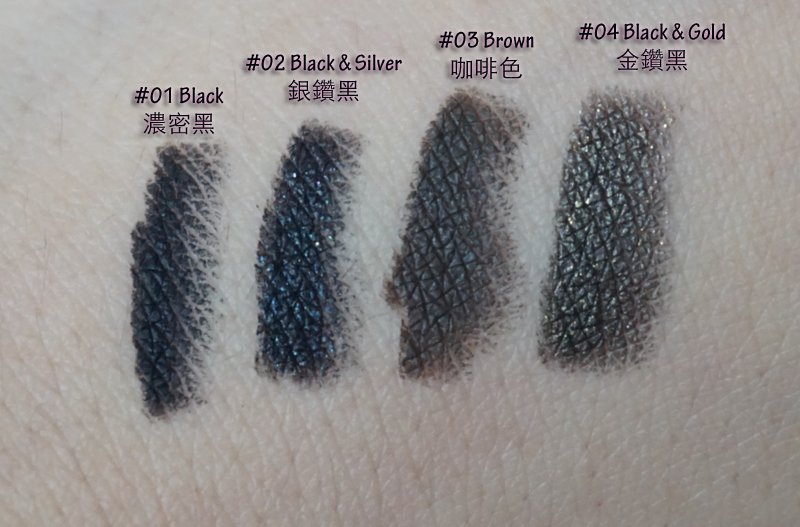 Hi Sparklies, today I decided to share my all-time favourite and holy grail pencil waterproof eyeliner. As a beauty enthusiast, I test trial many pencil eyeliners (sadly, most don't impress me), therefore usually I'm a liquid liner girl but this product here I absolutely swear by. It has changed my life. 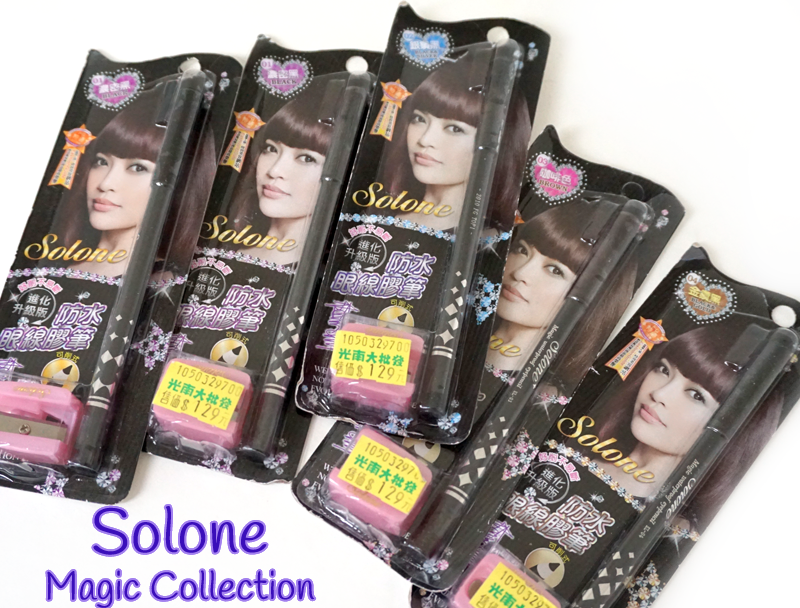 Solone, is a Taiwanese cosmetics brand, and can be found in mass retailers in Taiwan. (You can also find it at SaSa/Bonjour in Hong Kong) I purchased my collection during my 3 separate trips to Taiwan. My sister and I both stocked up, she purchased over 20 in one go (basically emptied 2 stores)... if that isn't a testament to how amazing these are, I don't know what is. 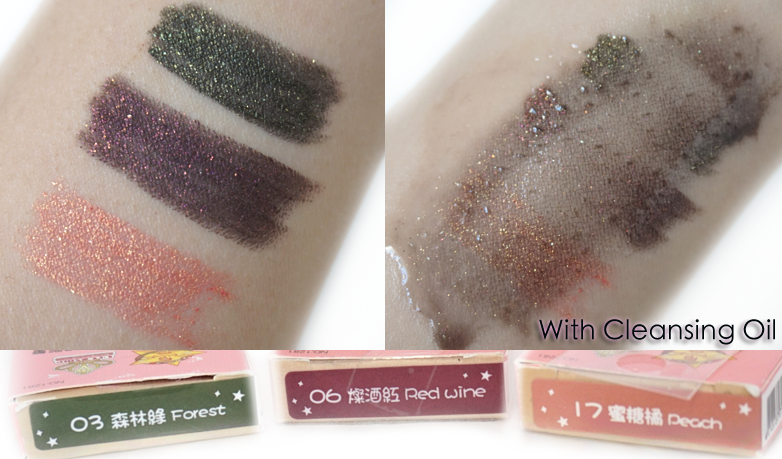 Solone Magic Collection is part of their most original and classic collection of waterproof eyeliners. I've noticed their paper packaging has changed a few times due to generation, however it's generally as pictured above. They also mention manufacturer date and the product is good for 3 years. The pencil liners claim to be super waterproof, sweat proof and can withstand oily lids while remaining a smooth, soft glide. Many bloggers rave about this product and it's definitely something once you try, you will be hooked. 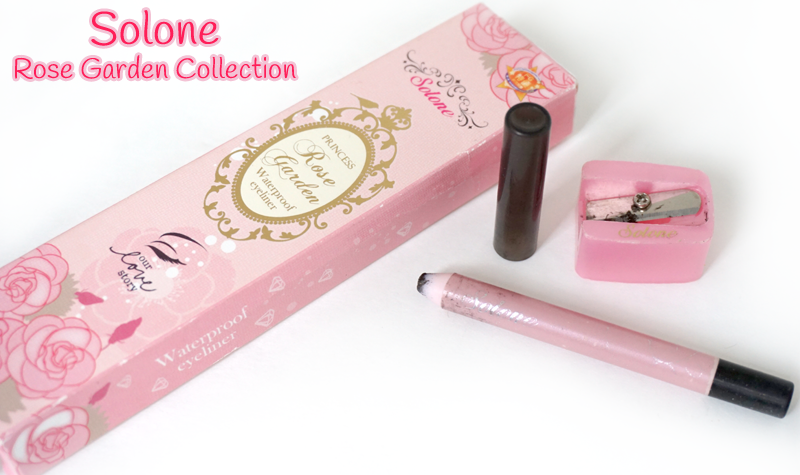 Each pencil eyeliner comes with a sharpener and lucky me ~ got all pink sharpeners. Their sharpeners do come at random colours so they aren't always pink. See below I have swatches for the 4 colours I was able to pick up. According to the website, they have a fifth colour which is #5 Silver 亮銀白, however I haven't seen it. I love using all the darker colours for my upper, inner eyeliner area. It's sooooo smooth! 2013 Fashion Guide Beauty Award - Favourite Product by "Word of Mouth"
Asian cosmetics tend to have super cute packaging and this collection does not disappoint either. The Gel Like Smoody Pencil has different functions compared to the above two. They can be used as an eyeliner along with a smudging option for a less defined look while the liner hasn't set. This eyeliner takes 30 seconds to set which is ample amount of time to smudge it. The sharpener is not attached. There's a total of 12 colours to choose from and occasionally they have limited edition colours in addition to the 12.